Happy Monday, readers! Today’s guest is Kirsten Campbell. 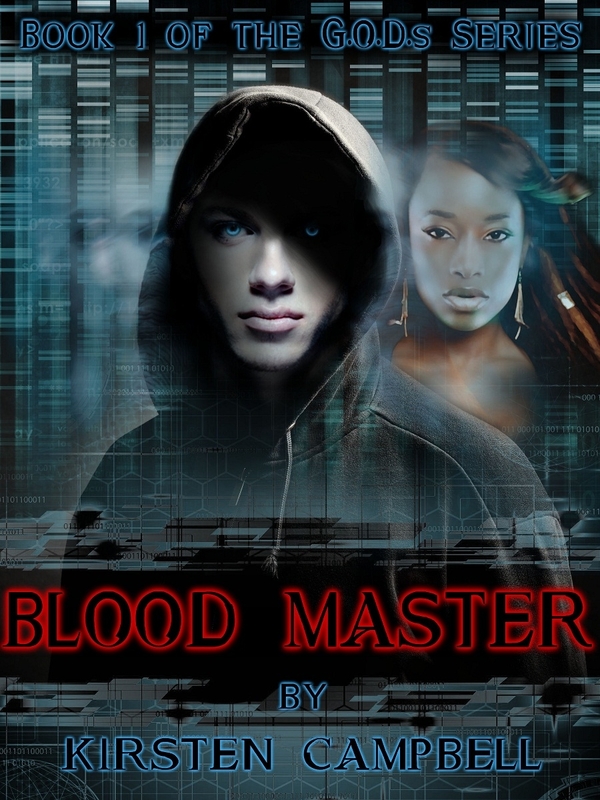 We’re chatting about her new urban paranormal fantasy novel, Blood Master – Book 1 of the G.O.D.s series. Kirsten Campbell is an author of several published Urban Paranormal Fantasy short stories and a published poet. 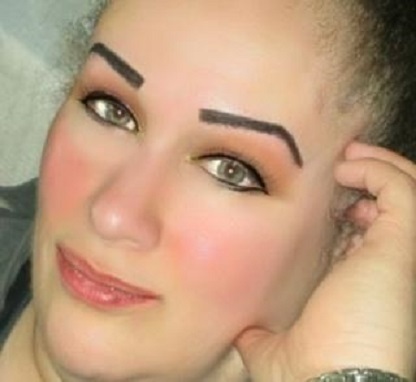 Her work has been published in Bewildering Stories, The Pittsburgh Quarterly Online, Ascent Magazine, The Fairfield Review, Poets-Artists & Madmen, Interracial Voice, The CoffeehousePress Journal, The Write Gallery, Sagazine Online, Beauty Talk, COBRA, and several other magazines. Pudding House Publications published her chapbook, The Abandoning Kind,” in 2009 and Ladybug Press published her chapbook, “Poetry from the Covert Bourgeoisie.” Her Urban Paranormal novel, Blood Master-Book 1 of The G.O.D.s Series is an Amazon Top 100 Best Seller and the second book of the series, Blood Rage, is due out this year! Kirsten also co-authored a non-fiction book, Chocolate & Diamonds for the Woman’s Soul, and it’s due out on September 13, 2015. Kirsten is an Executive Assistant to the Vice President, General Counsel and the Legal, Compliance & Funds Department of an investment firm in Stamford, CT. She lives in Brewster, NY, with her lovely daughters and three beautiful grandchildren. She loves to watch anime and is an accomplished sculptress and she paints and draws. 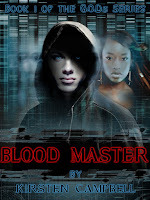 Visit Kirsten at www.kcampbell-gods.com or www.kirstencampbellbooks.com or check out her Facebook fan page for Blood Master - Book 1 of the G.O.D.s series. Welcome, Kirsten. Please tell us about your current release. “Because most of them are children, little children,” Griffin said quietly. His lips tightened and his head suddenly felt heavy, so he bent forward while peering up through his feathery, white eyelashes. He knew this little piece of information would hit Tassta hard, but he also felt she had to know the truth. He figured Tassta was sheltered at the Brotherhood and from what he could see; she knew nothing of real life out on the streets or in the Underground since the Great War and the earthquakes. Oh, he knew she had heard rumors and been on a few raids, but he also knew that her brother would never let her go out and investigate the validity of the rumors of those five blocks underground that used to be known as Underground Atlanta. No, sweet little Tassta Vinetti was protected from the harshness of the typical life outside of the Brotherhood. I was published in a magazine in 1996. After that, I sent out poetry and stories every few months and got published a few times a year. I work at an investment firm and I wrote my books on the commute to and from my job. At times, I just write at home. I need to have my pens, paper, phone, pads of paper and thesaurus right there within my reach or I can’t write. A fireman and a doctor. I love children and animals, hate getting flowers because once they’re picked, they die and I love cheddar cheese more than chocolate!